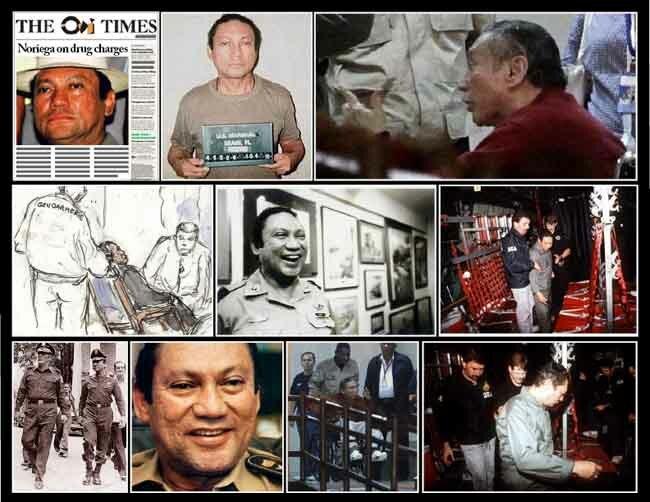 On February 5, 1988, two federal grand juries in Florida announce indictments of Panama military strongman General Manuel Antonio Noriega and 16 associates on drug smuggling and money laundering charges. Noriega, the de facto dictator of Panama since 1983, was charged with smuggling marijuana into the United States, laundering millions of U.S. dollars, and assisting Colombia's Medellin drug cartel in trafficking cocaine to America. The Panamanian leader denied the charges and threatened expulsion of the 10,000 U.S. service personnel and their families stationed around the Panama Canal.